It’s that time of year again when our bars get busy and our customers are often looking for something extra special. 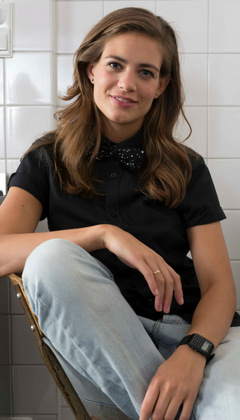 Leading bartender, Tess Posthumus tells us about how she creates celebratory serves for her bar and gives you some top tips and recipes to get started! 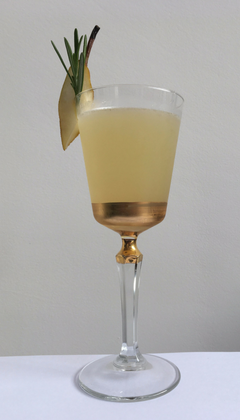 When I first started making cocktails, my colleagues at Door 74 pushed me to be creative by offering a daily 'cocktail of the day'. These daily specials are always invented by the staff and are an excellent way of paying attention to current events or national holidays. A way we celebrate the festive season is by offering a special Christmas punch or a welcome drink. Creating your own celebratory champagne serves gives you an excellent opportunity to offer your guests something special and upsell at the same time. To save time a pre-batched punch could easily be created at the beginning of the night and offered to the guests when they come in, or before a meal. Sell it as a festive welcome drink while they continue to look at the drinks and or food menu. When I’m creating festive serves for Christmas or New Year’s Eve, I’m inspired by my friends and the moments the drinks will be enjoyed. I like to create different serves for different ﬂavour proﬁles, so that there is something for everybody. Also, I’d like to use dark herbs and spices or the ones you would normally use in the Christmas dishes and desserts. Think for instance about cinnamon, cloves, star anise, ginger, cardamom, oranges, cranberries and rosemary. For the garnish I always like to keep it a bit simple. Don’t go too crazy with your choice of garnish. Make sure that everything you put in and onto the cocktail has a purpose. That purpose could be an additional aroma or an extra layer of ﬂavour like the ones a ﬂoat or squeezed lemon zest will bring you. The same goes for naming your creation. Don’t go overboard with weird names but try to keep it close to what the drink resembles. 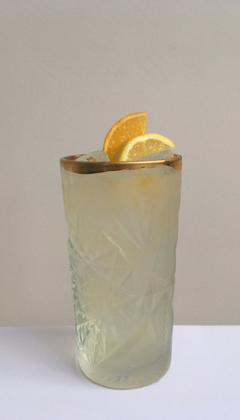 Did you make a fancy twist on a Collins, with added orange? Name it a Fancy Orange Collins. This way, guests will understand better what kind of drink it is they can expect. And last but not least, once you’ve created your celebratory signature serve, you want people to know of it and actually order it. Some ways of getting your cocktail out there is by posting a photo or small video of it on social media. This could be your personal Instagram or Facebook but also the social media channels and website of your bar. Another way is to create an entire festive menu together with your colleagues. Let all the bartenders create their own signature recipe and make an entire menu out of it. Or offer a different cocktail at different days of the week. Print out a special menu which you can offer the guests next to your regular menu or use a chalkboard menu as a cheaper alternative. 1. Offering a cocktail of the day is a perfect way to get rid of leftover stock. Think of those strawberries that are not pretty for garnished anymore, muddle them up in a cocktail of the day! 2. Create a celebratory punch. Easy and quick. 3. Upsell your festive drink as a special welcome drink. 4. Think of festive dishes when you don’t know which ingredients to use or combine. 5. Keep your garnish simple and classy. Nothing too crazy but garnish with ingredients that add something to the drink that was still missing. 6. Use social media to spread the word about your creations and offer a festive menu on the side. Want to get started right now? Check out my signature celebratory recipes below for more inspiration. Pour the TANQUERAY LONDON DRY GIN, fresh lemon juice, sugar syrup, orange ﬂower water and orange bitters in a shaker tin. Fill with cubed ice and shake vigorously. Fine strain the cocktail into a Collins glass ﬁlled with cubed ice. Top up with champagne and give it a gentle stir. Garnish with a lemon and orange slice. * A ﬂoral and festive twist on the classic Collins. Pour the JOHNNIE WALKER BLACK LABEL, fresh lemon juice, pear syrup, rosemary and whiskey barrel aged bitters in a shaker tin. Fine strain into a pre-chilled coupe glass. Garnish with a slice of pear and a (ﬂamed) rosemary sprig. * The whiskey barrel aged bitters adds a cinnamon touch to the JOHNNIE WALKER BLACK LABEL and combines perfectly with the pear and rosemary. Pour the CAPTAIN MORGAN WHITE RUM, fresh pineapple juice, lime juice, honey syrup and Angostura bitters in a shaker tin. Strain into a rocks glass ﬁlled with cubed ice. 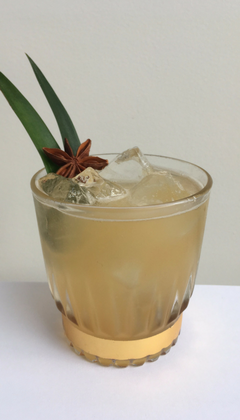 Garnish with pineapple and star anise. Eight years ago I started bartending at an international renowned cocktail bar, Door 74. I started as a waitress and worked my way up. Watching my colleagues behind the bar and constantly researching helped inspire me to progress in my career. My colleagues encouraged me to enter competitions and in 2015 I became the World Class country winner for the Netherlands. Forget about the Christmas tree, it is all about decking out your drinks this festive season! Tess Posthumus reveals how to create lower ABV cocktails without compromising on flavour. The busy festive season is well and truly upon us! So how should your bar be preparing? New Year, new you! Find out how small changes can have a huge impact on your career. Join in the conversation and Tweet us at @diageobarac, share your photos on Instagram @diageobarac or post on our Facebook page. We’d love to hear from you. Sign up and become a member of Diageo Bar Academy today and opt in to receive our monthly newsletter to unlock the latest industry news, trends and tips to keep your bar knowledge up to speed!